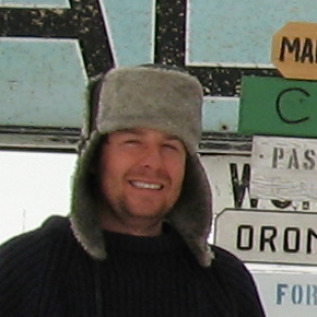 Dr Jeremy Wilkinson is engaged in leading-edge polar research programs spanning both poles. He is employed by the British Antarctic Survey (BAS), represents the UK on the International Arctic Science Committee’s Marine Science Working Group, is a former member of the UK Arctic and Antarctic Partnership (UKAAP), and sits on the Scientific Steering Group of Antarctic Sea-Ice Processes and Climate. Dr Wilkinson is a recognised authority on sea ice and upper-ocean physics and his scientific fieldwork, both in the Arctic and Antarctic, has been performed from many different platforms, seasons and latitudes. He has organised and participated more than 20 polar field campaigns, and plays a crucial role in the development of autonomous instrumentation for sea ice research. Jeremy coordinated the €12 million EU funded ICE-ARC programme, sits on the Steering Committee of the US Marginal Ice Zone (MIZ) and Stratified Ocean Dynamics in the Arctic (SODA) programme, as well as holding an Advisory Board position for the Japanese Arctic research project, Arctic Challenge for Sustainability (ArCS). Jeremy has substantial experience in large multidisciplinary programs, including UK, EU and US programmes, has organised or co-organised events at leading Arctic and policy-based conferences and enjoys an excellent working relationship with the international scientific community and other stakeholders in the Polar regions. With Giulia Castellani, Jeremy is co-lead investigator of the Eco-Light project.